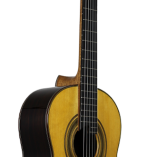 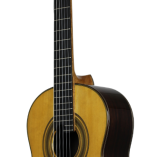 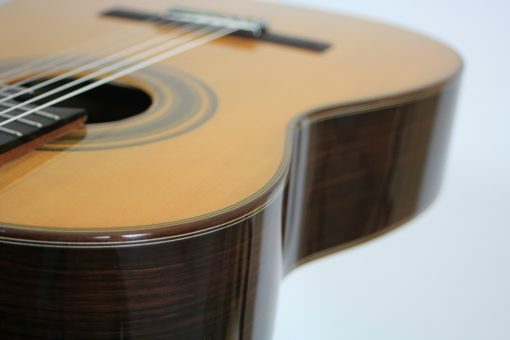 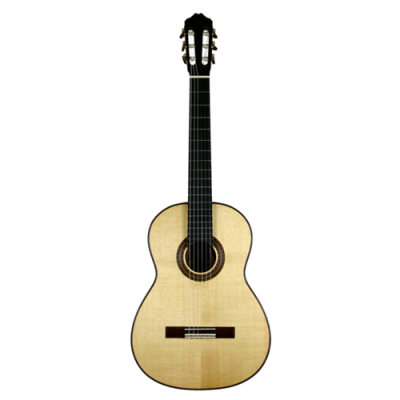 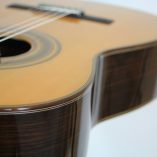 This beautiful guitar was developed in cooperation with „Siccas Guitars“. 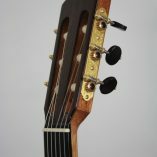 This guitar-type is a special edition which is only and exclusively available at “Siccas Guitars”. 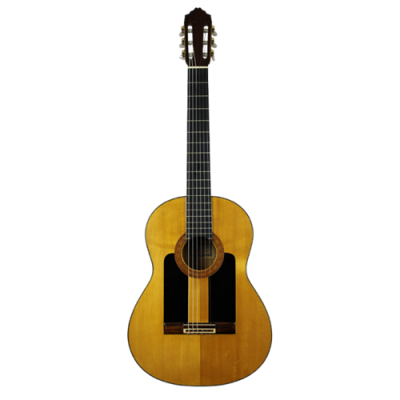 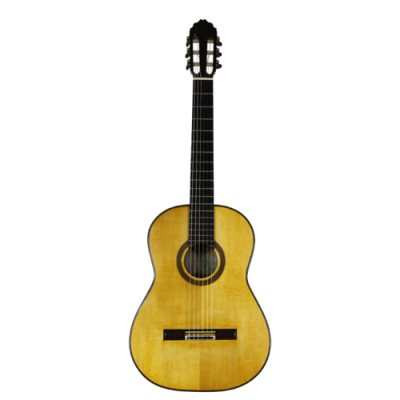 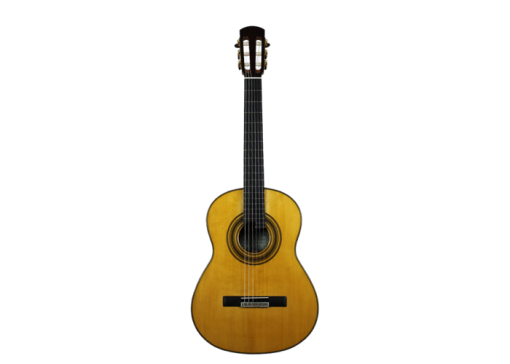 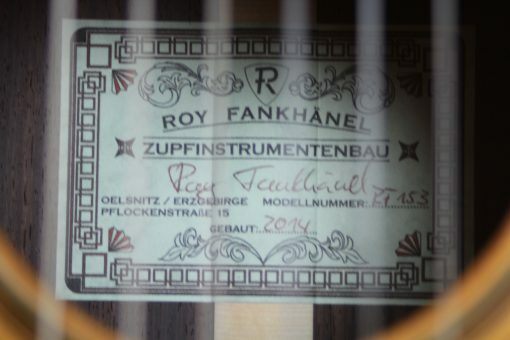 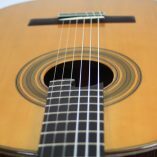 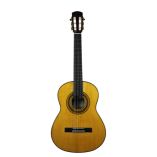 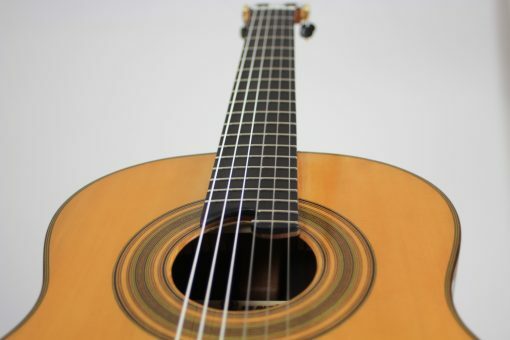 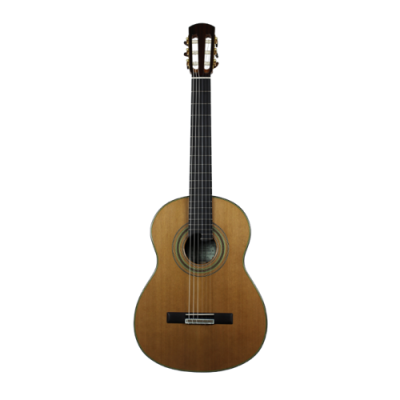 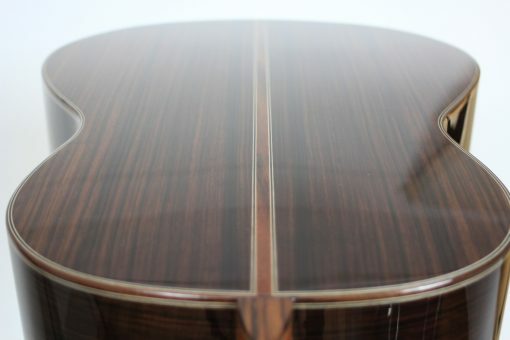 It has a variety of special features which can be found in this manner only on this guitar. 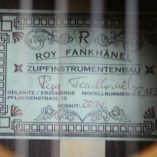 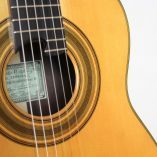 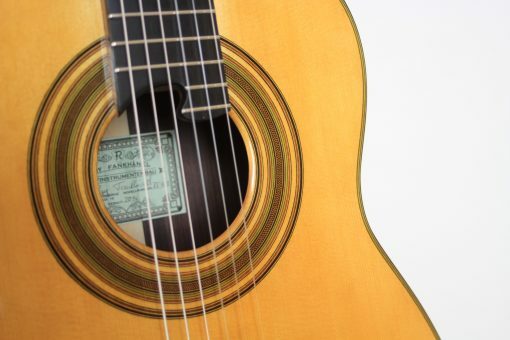 The decorative elements like rosette and ornaments around the edge were specifically designed, and give the instrument a more traditional look. 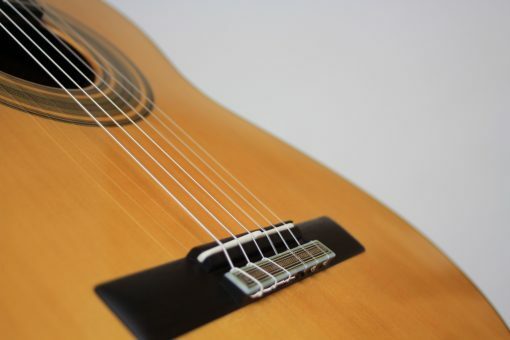 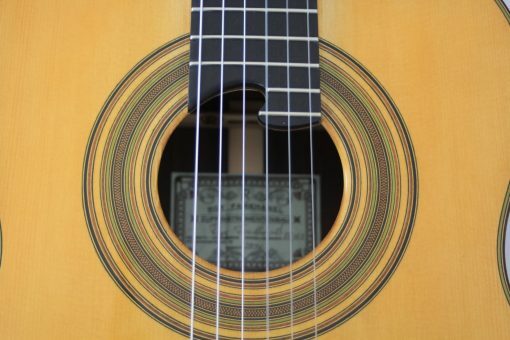 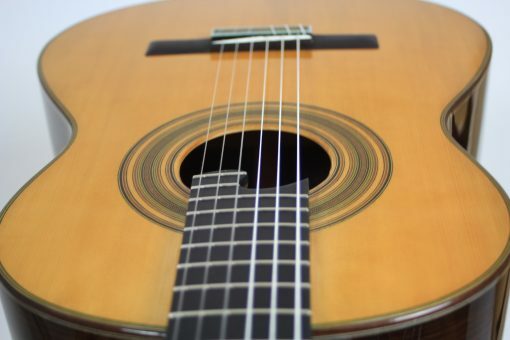 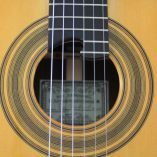 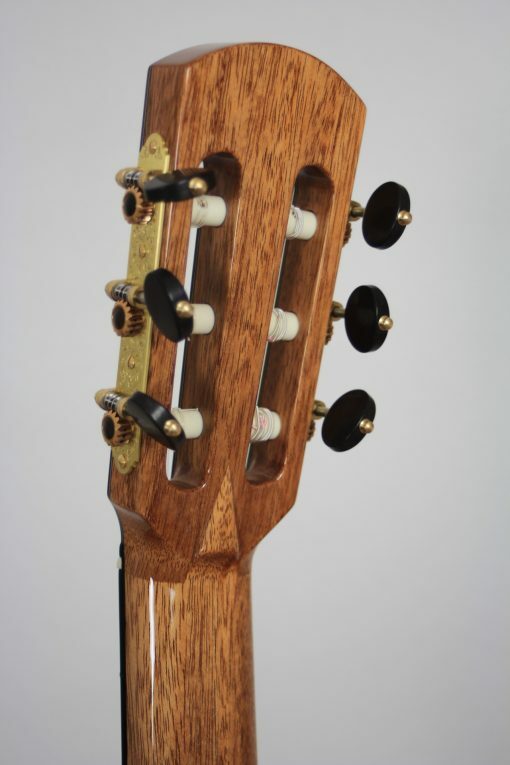 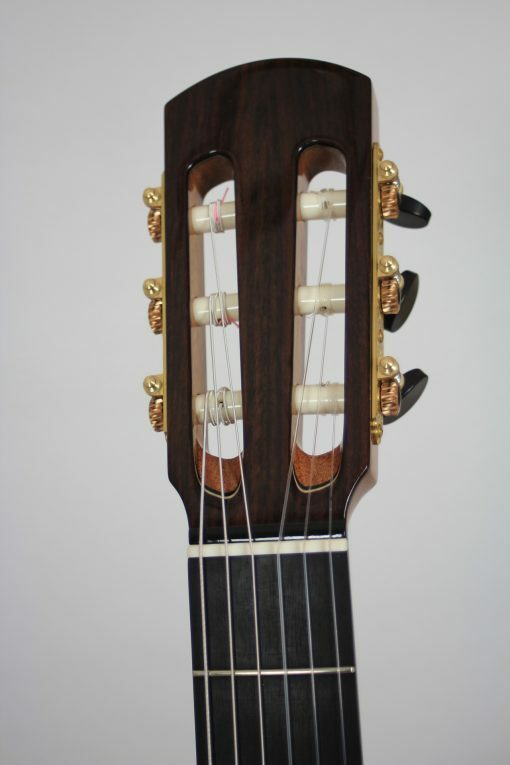 The bridge with its 12-hole-drilling fits perfectly into the overall picture of the guitar. 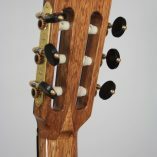 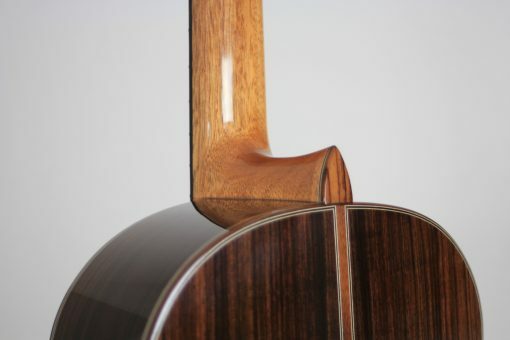 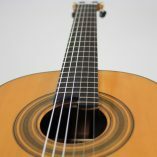 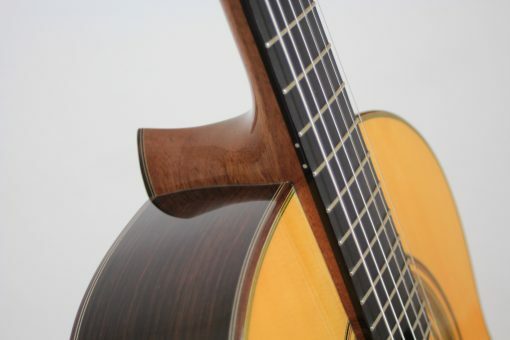 Eye-catching are also the purflings made of ovangkol, which stress the precious character of the guitar. 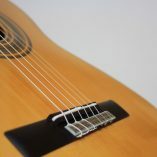 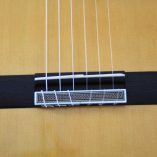 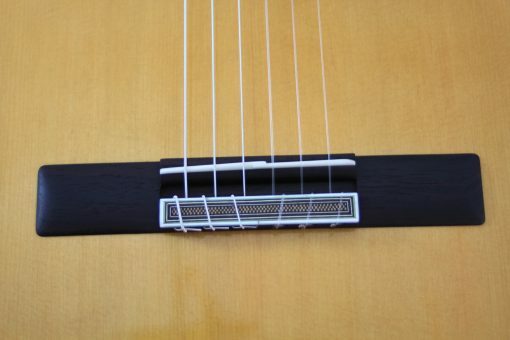 The raised fingerboard facilitates playing in the high registers and improves the sound in this area noticeable. 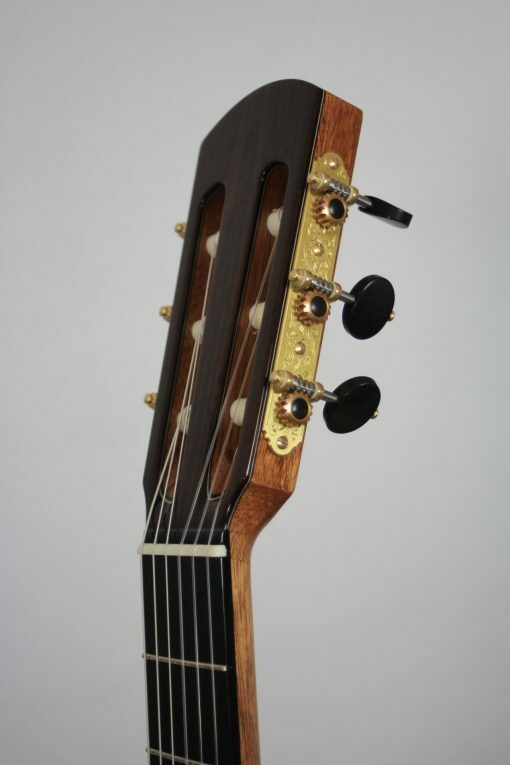 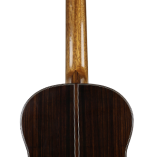 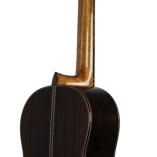 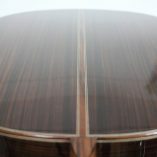 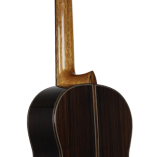 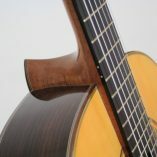 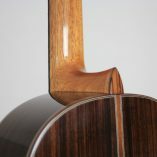 Back and sides are made of Indian rosewood and the top is made of spruce. 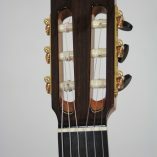 The machine heads are by Alessi.